The Consumer Product Safety Commission has reported that about 100,000 off-road vehicular accidents take place every year in the U.S. There are many adventure sport companies, resorts, and recreational one-day tours that offer families the opportunity to experience the thrill of off-road vehicles such as go-carts, golf carts, jet-skies, ATV’s, dune buggy’s, and snowmobiles. Many people find riding these vehicles a thrilling experience. However, the inexperience of riding an off-road vehicle increases the risk of injuries caused by an off-road vehicular accident. The Consumer Product Safety Commission has reported that about 100,000 off-road vehicular accidents take place every year in the U.S. Whether it is winter or summer, off-road vehicles operated by an untrained driver can cause serious injuries or can even prove fatal. Off-road vehicle operators should be trained about usage safety, first aid, and have proper access to user manuals. Golf carts – Golf carts do not have seatbelts and are susceptible to tipping over if there is not equal weight distribution between riders and equipment. Unkempt golf courts also pose a hazard to golf-carts. Go-carts – Go-carts can attain speeds up to 30mph. The gas tanks and exhaust pipes are usually exposed and reach extreme temperatures while in use. Go-cart accidents often result in burn victims. Go-carting is usually an exciting adventure for children, but a lack of supervision can cause collisions, leading to major burns and injuries. Jet-skies – Jet-skis can attain speeds of up to 70mph. Jet-ski accidents are usually caused a driver is under the influence of alcohol or drugs and loses control of the vehicle. ATV – All-terrain vehicles (ATV) pose similar threats as go-carts. 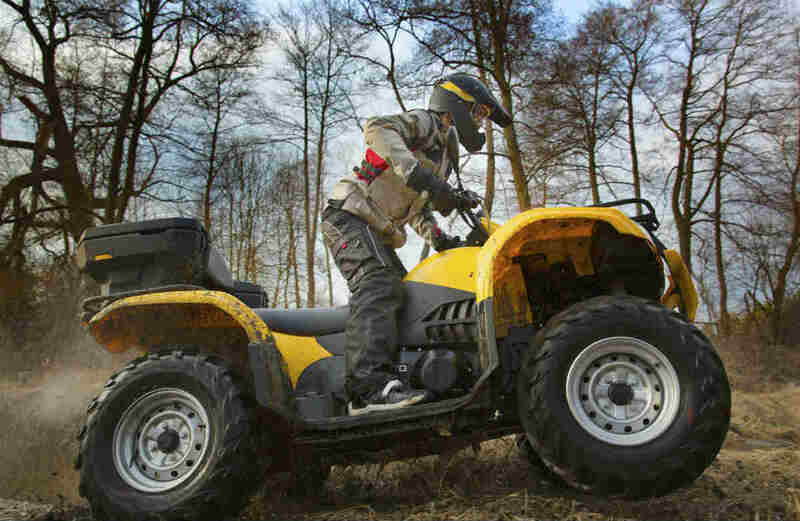 Because ATVs are often used on uneven terrain, they can tip over and cause serious injuries, especially among young drivers. Snowmobiles – Snow mobiles are used on mountain slopes and on slippery terrain. Bad weather conditions can make it difficult to navigate a snowmobile. When people misuse off-road vehicles, they put others around them at risk for injury. It is the responsibility of users and parents of children using off-road vehicles to ensure that proper care and safety is maintained. Adventure sport organizers should ensure that their off-road vehicles are well-maintained and that they are operated by trained professionals only. If you or a loved one has been injured by an off-road vehicle accident, contact a St. Louis personal injury attorney for legal assistance. Call The Hoffmann Law Firm, L.L.C. at (314) 361-4242 for a free consultation.